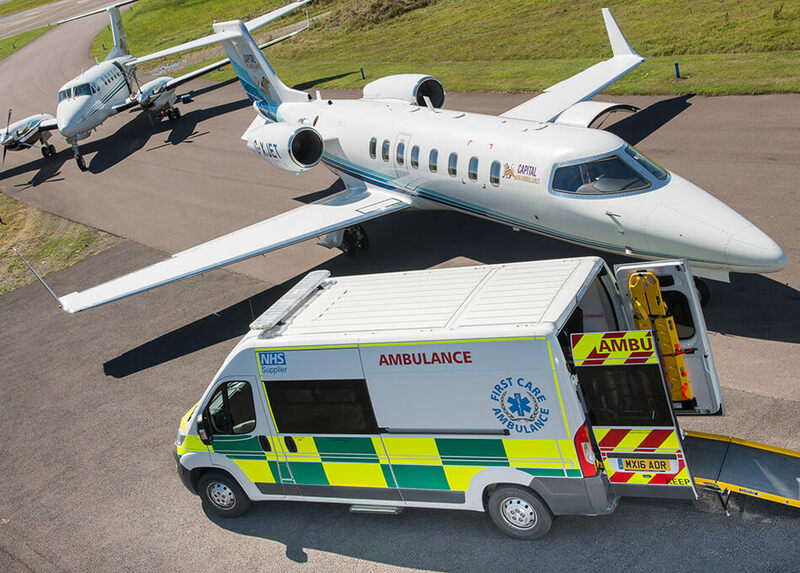 First Care Ambulance can offer a full medical repatriation service for patients returning to the UK by land, sea or air. We can offer vehicles that will meet with the full requirements for airside transfers anywhere in the country. We currently provide repatriation services for the NHS, insurance companies, travel agents and private individuals. With a range of fully trained staff from Ambulance Care Assistants through to Paramedics we can meet the needs of a wide variety of patients. We can also offer a tailor-made service to meet the needs of patients travelling throughout the UK and Western Europe. We offer 24-hour response, commercial medical repatriation and patient transfers and a door-to-door service. Fully-qualified medical staff look after the patient’s requirements, whether they are returning home from a hospital, a hotel or continuing care in another hospital.